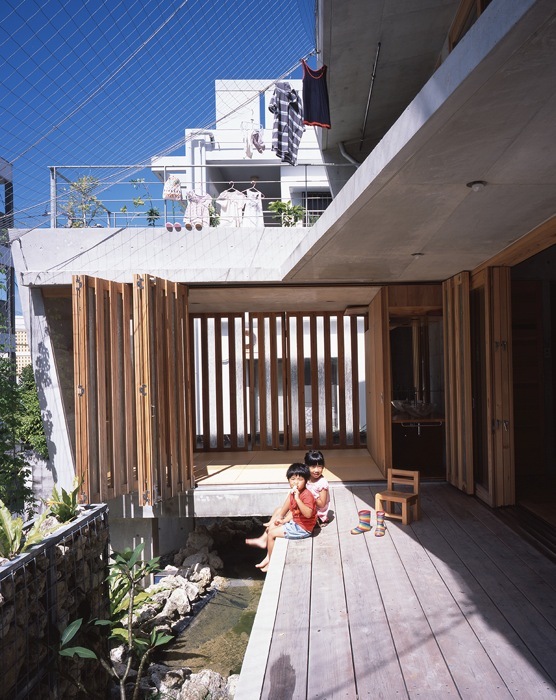 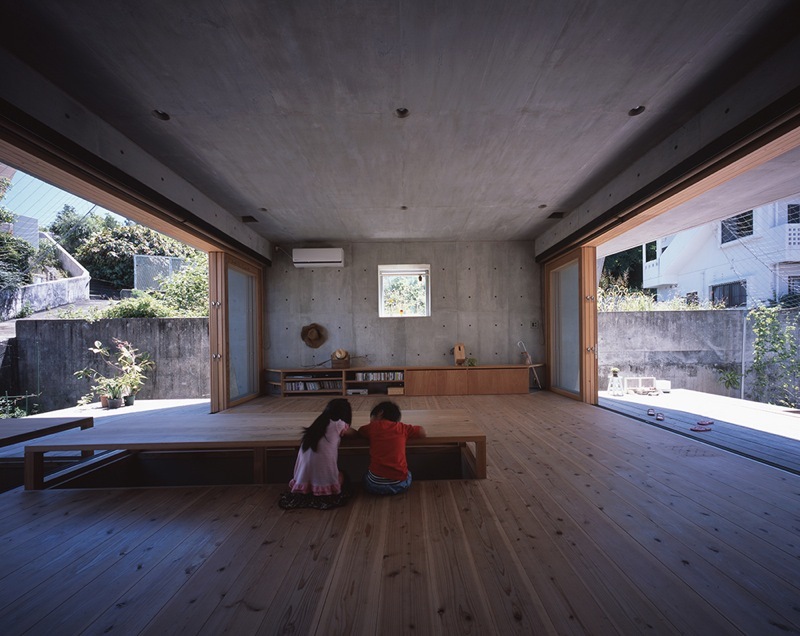 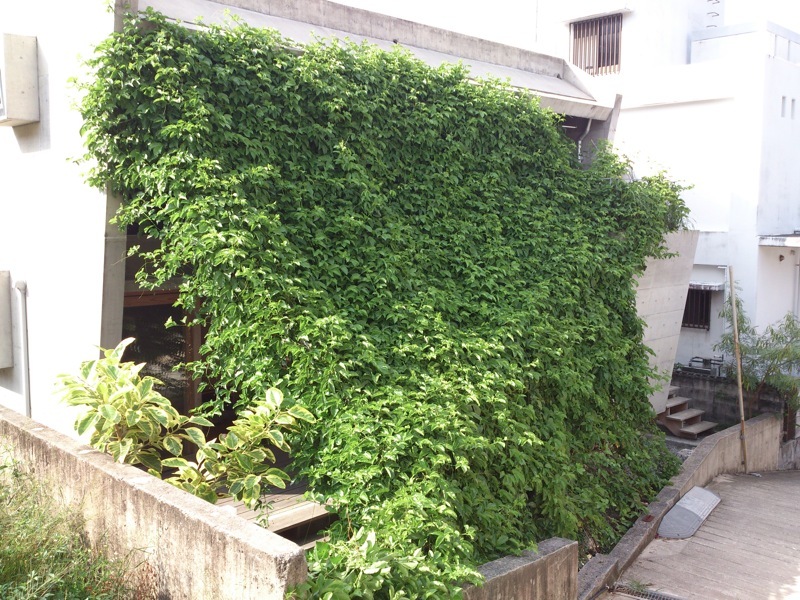 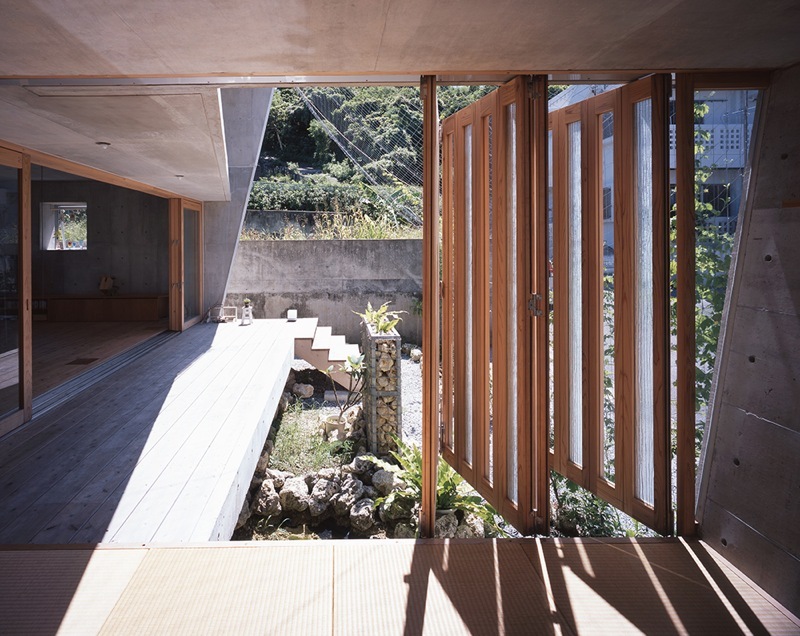 This House for a couple and their children, located in the southwest of the Shuri Castle in Okinawa, near a residential area of adjacent slopes to the traditional Okinawa park of Naha that still remains with is beautiful green. 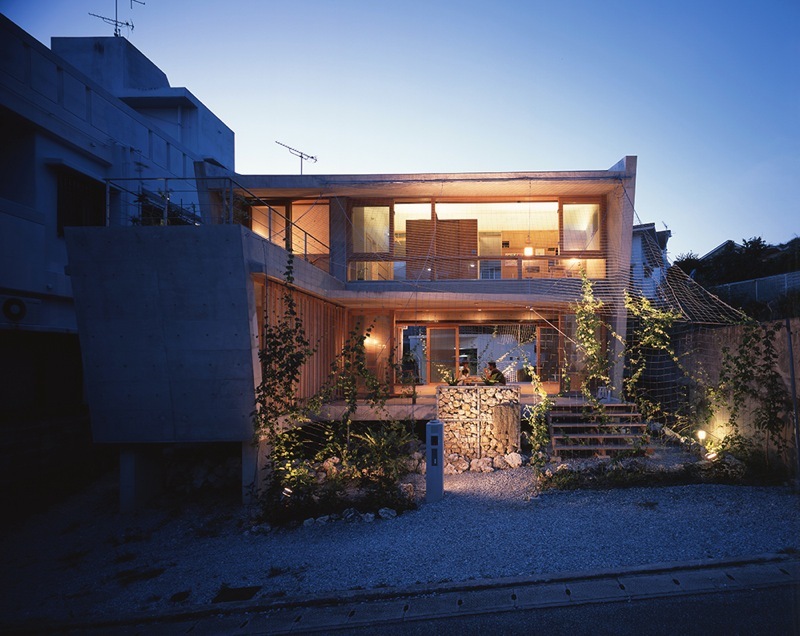 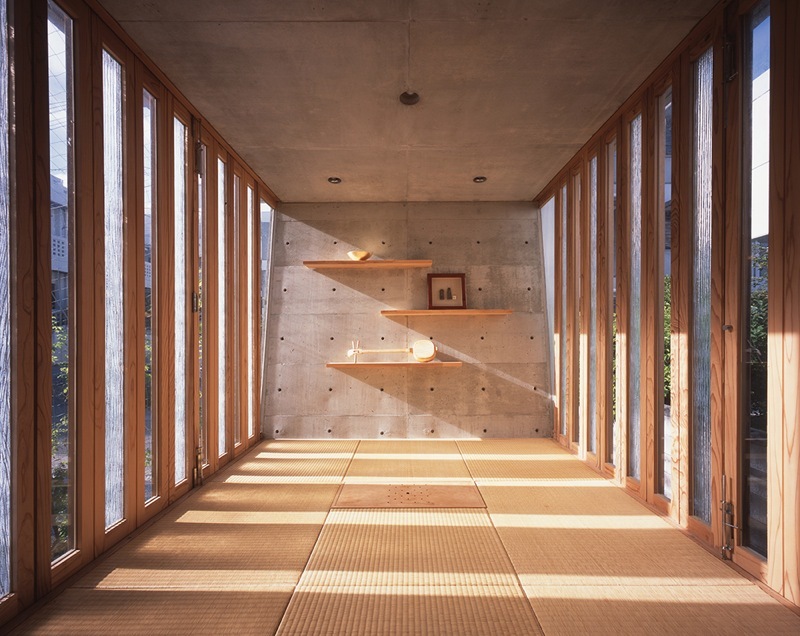 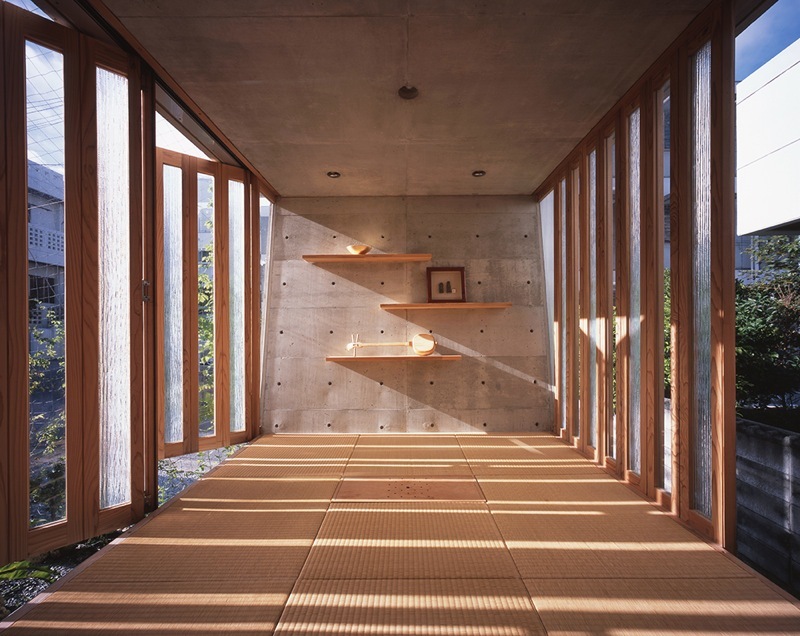 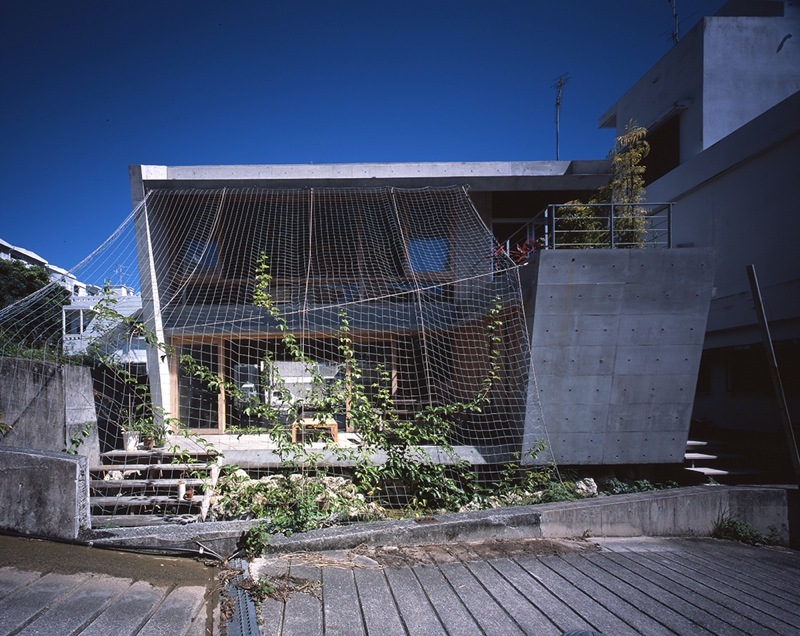 Aimed at making the house nestling in the natural environment of this place, it was necessary to learn from the wisdom of the traditional residence of Okinawa, and understand the climatic conditions of the site. 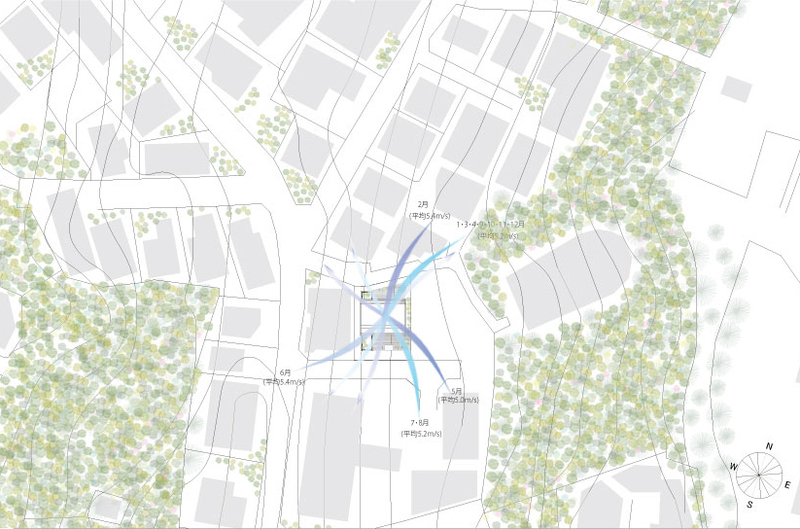 For the plan, the ﬁrs draft, the ﬁrst thought was to between north-south direction open through the wind, loosing in this way interference of ventilation. 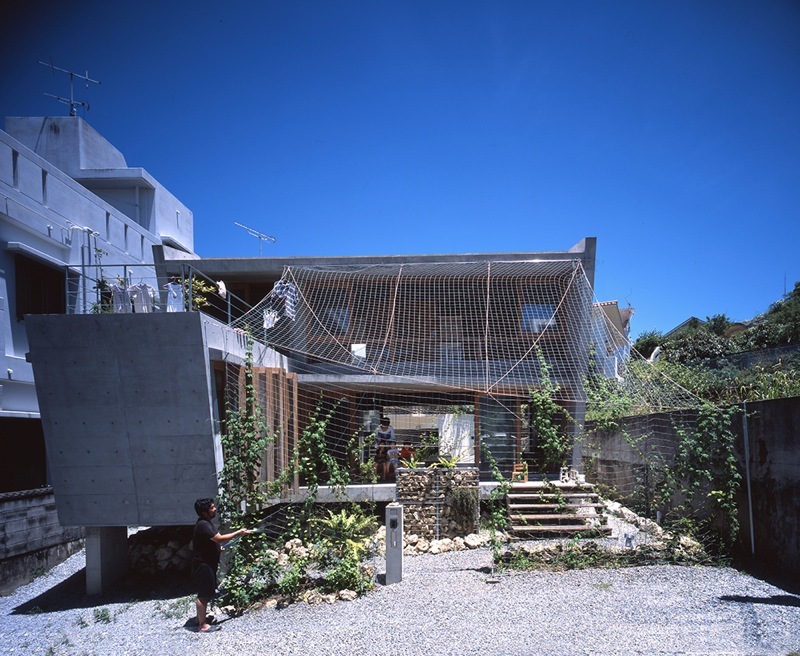 In addition, to tie a gently relationship of inside and outside, surrounded by the steel mesh on the south side is provided a folding screen of coral. 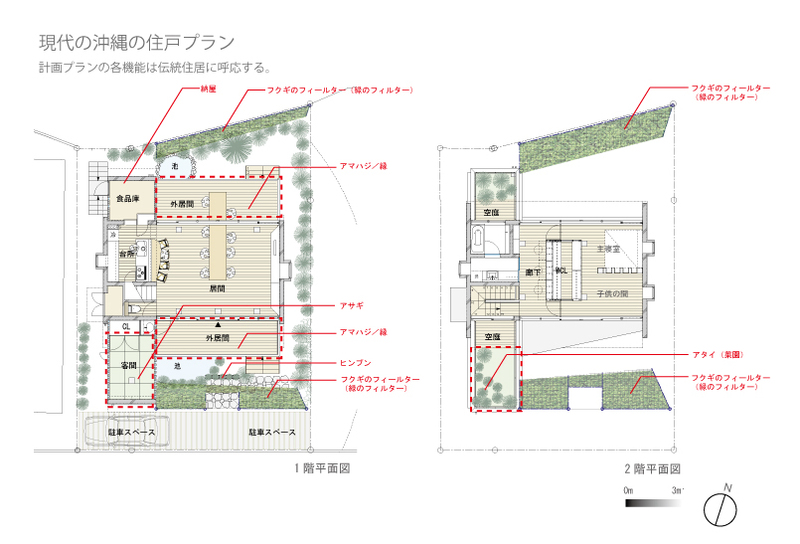 In the ﬁrst ﬂoor we can ﬁnd a living open space where the core storage and the kitchen are placed; on the west side, a continuous large terrace from north to south. 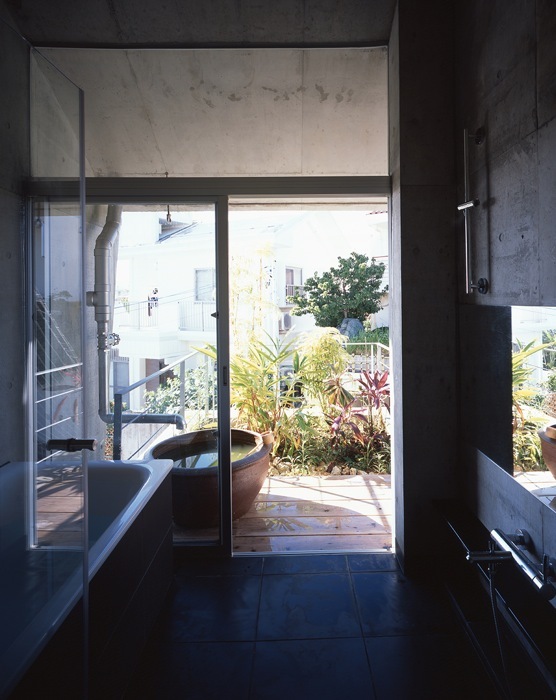 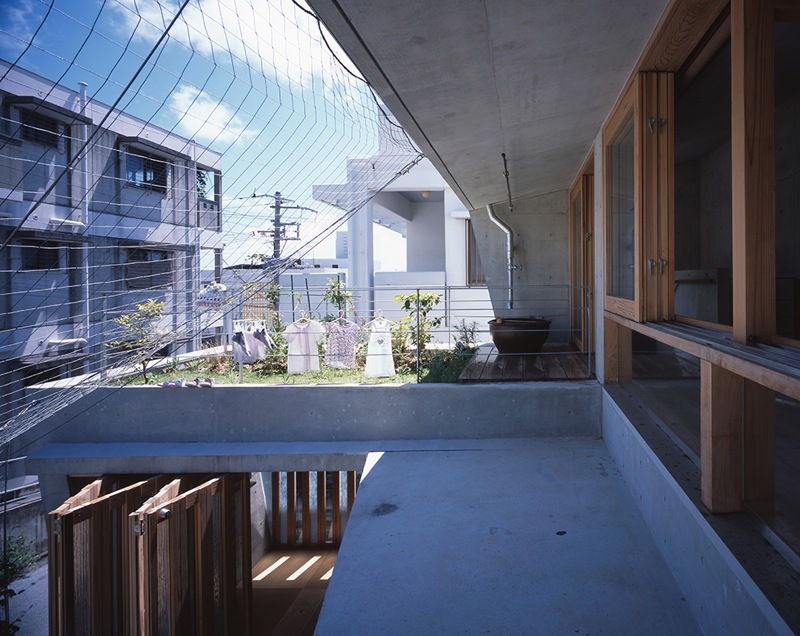 Also, to ensure the privacy of the family space and to allow direct access, the terrace is placed in the west side. 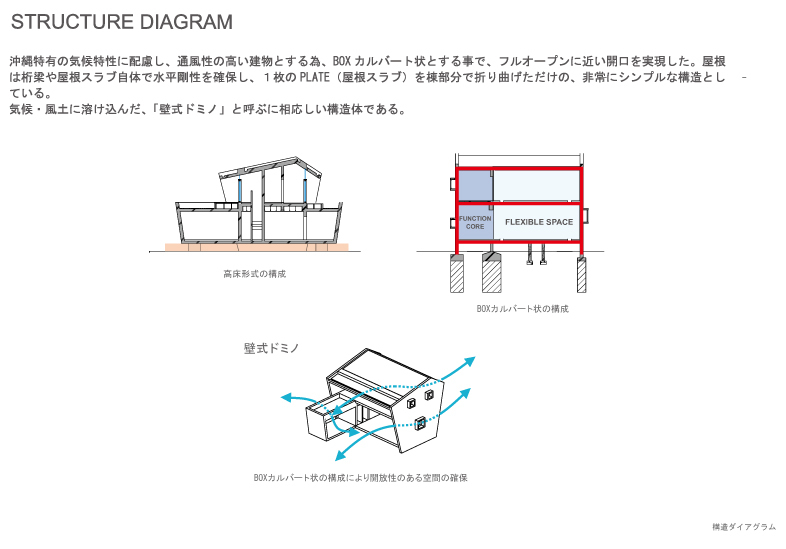 In the second ﬂoor, the water is placed around the space on the west side as well as the ﬁrst ﬂoor, and is arranged so as to separate the storage from the couple bedroom and the k ids room at the top of the living room. 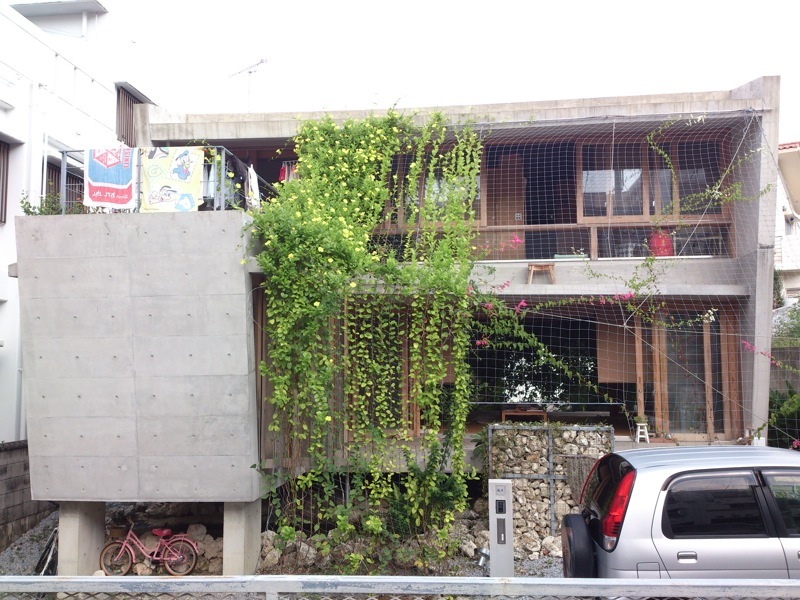 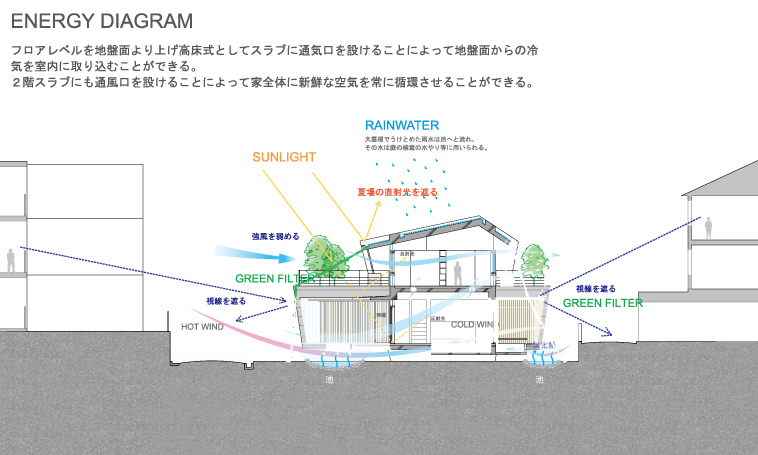 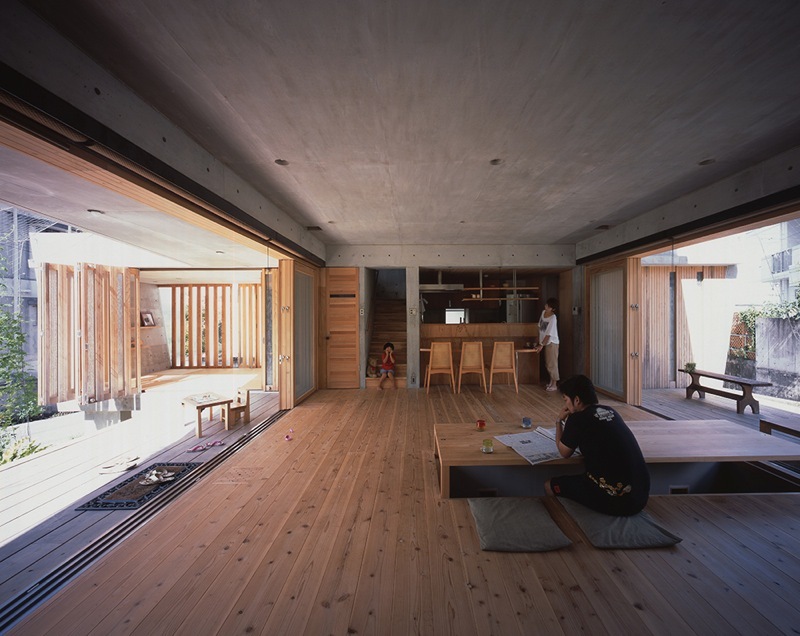 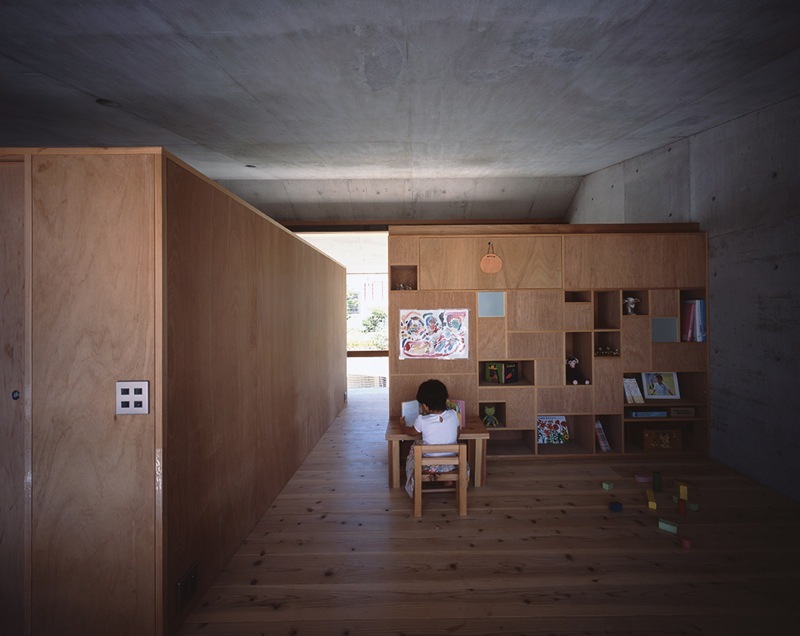 Because there is a possibility that the living space can be converted in a cafe, this same space was planned with ﬂexibility in mind, being independent of the remaining spaces, to create a rich living environment while adapting to climate conditions of the region, unique to Okinawa.